A sweet house/guest house in the Railyard District! Great location and super investment! 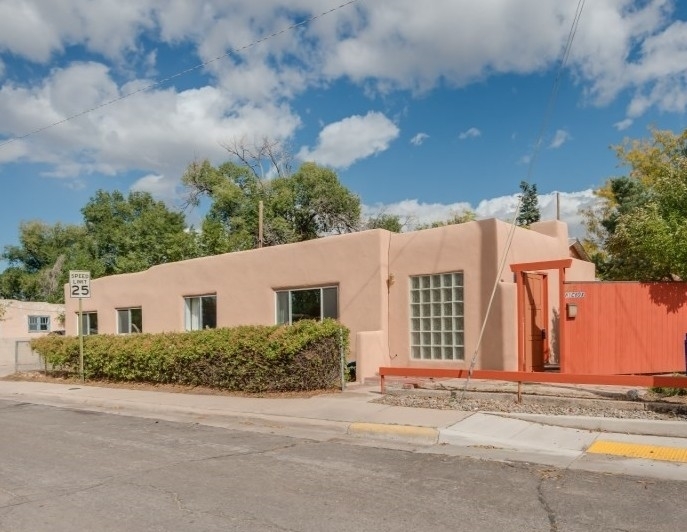 Near the Acequia Trail, Farmers Market, Whole Foods, Trader Joe&apos;s and very close to the trendy Tune Up Cafe and City of Mud Gallery. Great urban life style location! Live in one and rent the other. Both units are charmingly remodeled. The mail house is on a month-to-month lease and the guest house is in the middle of a one year lease. Main house currently rents for $1350 plus utilities while the guest unit rents for $1200 plus utilities. Each has 2 bedrooms and 1 bath, 1 fireplace, fenced, private yard and one off-street parking space with plenty of on street parking. A unique are rare opportunity! Agent present and at least 24 hours notice required. Showings must be confirmed. Note: Pictures were taken before tenants moved in. Directions To Property: St. Frances South, West On Hickox To 1017 On The Corner Of Franklin Ave.